With the shiny new paint cured on the tractor it was time for some serious aging. Peter fired up the disc sander and went to town on all the logical places a tractor would get scraped and dinged as it was used hard. When he was done the cute little machine was judiciously sprayed down with some mild acid to encourage the formation of some rust. By days end the tractor looked it's appropriate age. 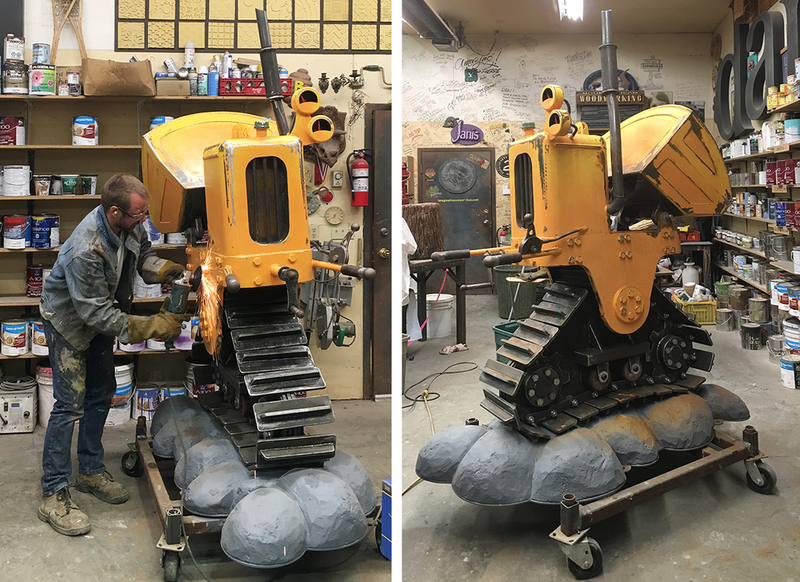 The rocks need a little more work and then this little beauty is ready to send down the road to it's new home at Loco Landing Adventure Park in Penticton, BC.